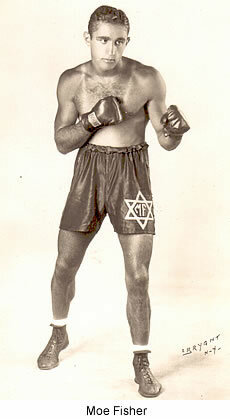 The years from 1910 to 1940 were called "The Golden Age of the American Jewish Boxer." In those years, when boxing was the most popular sport in America, Jewish boxers dominated the sport with 26 world champions. As one who grew up in the latter part of this era, when there were more than 20,000 registered Jewish boxers nationally, I can recall quite a few of them who lived in Newark. The Newark Jewish boxers, as I recall, were mostly from around Newark's old Third Ward1, and mostly sons of struggling immigrant parents. In this recollection, I will try to spotlight more than a dozen of these Newark fighters, mainly from my Third Ward neighborhood, who made boxing history, sought prominence, or just battled for a few dollars with dreams of bigger purses. Topping the list of Newark Jewish fighters were these ten, all of whom have been enshrined in the New Jersey Boxing Hall of Fame: Allie Stoltz, Abie Bain, Nat Arno, Lou Halper, Benny Levine, Hymie Kugel, Max Novich, Mickey Breitkopf, Maxie Fisher, Al Fisher. The two names at the top of the New Jersey Hall of Fame list, Allie Stoltz and Abie Bain, were, in my view, the greatest of the Jewish boxing ring achievers from Newark. 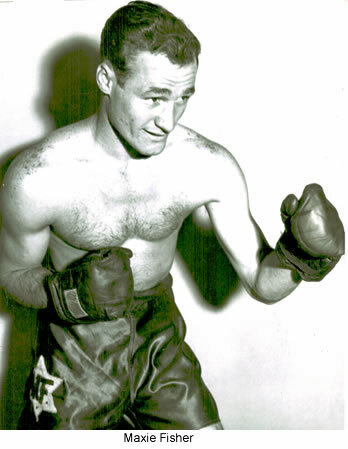 Allie Stoltz is at the top of my list because he participated in two title matches, losing one, a 15-rounder, by a split decision to world titleholder Sammy Angott, and the other to Philadelphian Bob Montgomery. Both of Stoltz's opponents were ranked among the all-time boxing 'greats' and both are enshrined in the International Boxing Hall of Fame. 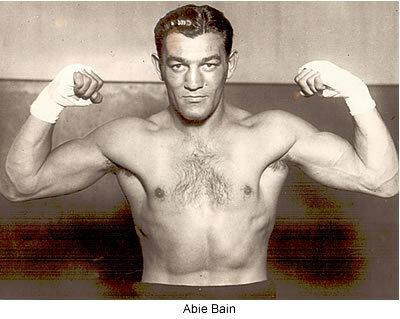 I put Abie Bain second, not only because he was a great fighter, but also because he was the only Newark Jewish boxer ever to lose a title fight to a Jewish world champion. On October 22, 1930, Bain was stopped in 1:47 of the 11th round by world light heavyweight champion Maxie Rosenbloom, in the champion's first title defense. 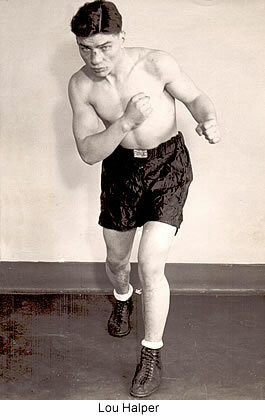 Bain had started at age 12 as a flyweight, but rose to fight his greatest fights as a light heavyweight and heavyweight. His career included 48 wins (31 by knockout), 11 losses, 4 draws, and 31 no decisions. 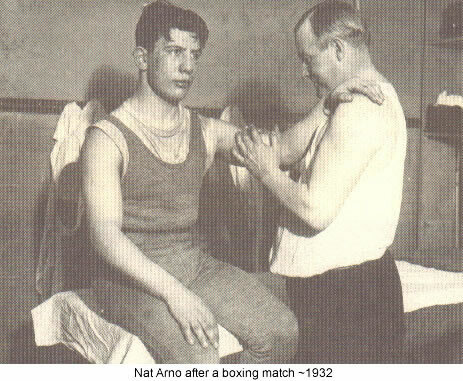 I place Nat Arno third because he went through his eight year boxing career, fighting 121 matches, without ever suffering a single knockdown. He retired from the ring at the age of 22. I put Lou Halper and Benny Levine fourth and fifth among the ten partly for personal reasons, as you will see. Lou Halper, who was my friend, and beloved by many of the 'greats' of the boxing community, had lost to world titleholder Barney Ross in a non-title bout, but had won Ross's friendship for life. When I scripted and emceed a surprise "This Is Your Life" for Lou Halper on June 10, 1957 in Hillside , the surprise guests included boxing promoter Willie Gilzenberg; Tony Galento, who had floored world titleholder Joe Louis before himself being knocked out 18 years earlier: Tony Canzonieri, National Boxing Commissioner Abe Green, Vic Marsillo, ex-titleholder Barney Ross, Newark Evening News boxing writers Hy Goldberg and Willie Ratner, and former Newark Mayor Ralph A. Villani. 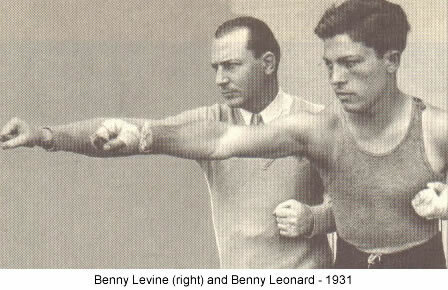 Benny Levine I place fifth because I recall him being introduced at another boxing event that I attended as the former Mexican Champion, presumably for a fight he had won in Mexico. Hymie Kugel is my No. 6 pick among the ten Hall of Famers not so much for his ring record as a contender as much as for what he did afterward. His nomination to the Hall of Fame came from his fame and prowess as a ring referee. 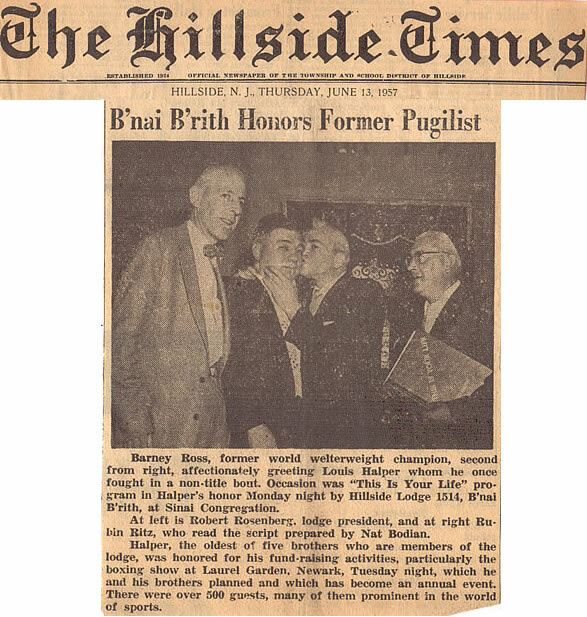 Henry Hascup of the New Jersey Boxing Hall of Fame told me "Kugel helped many boxers along the road in one way or another, and in a 1930s poll by the Newark Evening News was voted 'the most popular referee in New Jersey'." I listed former Third Warder Dr. Max Novich seventh not so much for his ring record, although he won entry into medical school on a boxing scholarship, but because he created Sports Medicine as a new medical specialty, founded the Association of Ringside Physicians in 1971, and is considered in both medicine and sports as the Father of Sports Medicine in America. Like myself, he also attended Central High School. Although some went from street battler directly into ring competition, in the 1920s and 1930s, the starting place for many Third Ward Jewish fighters was the High Street YMHA. When they felt ready for amateur competition, the boxing locales were the Newark Athletic Club, the Lyric Theatre Boxing Club, and the Olympic A. C.
I am especially familiar with boxing at the Newark A.C. gymnasium because, as a sports writer, I covered boxing in the Park Place gym on Friday nights for a number of years. 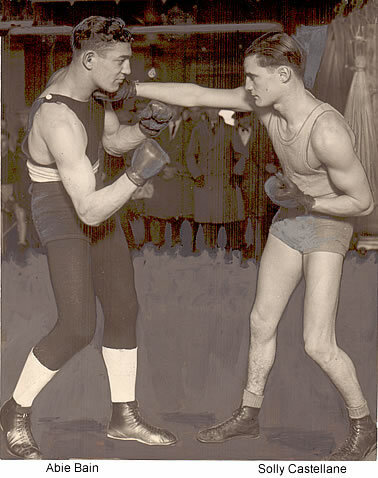 There were three eight week tournaments each year in the late 1930s -- The Golden Gloves, the AAU, and the Diamond Belt. 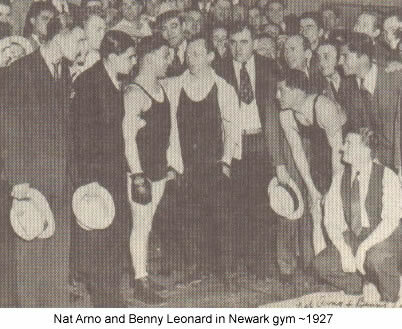 The professional boxing sites in Newark in the 20s and 30s were Laurel Garden, the Newark Veledrome, Dreamland Park, the Newark Armory, and the Broad A.C. In the 1930s at the time Lou Halper got his start at Laurel Garden, he once recalled that the pay for a four-rounder had been as little as ten dollars. For Halper, it was a windfall from previously selling 'morning' papers outside the Springfield Avenue arena on fight nights, literally for pennies. 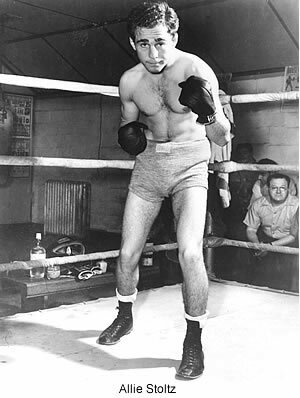 Some other Jewish pro fighters who boxed in the Laurel Garden ring, as well as other local sites, were Solly Castellane, Moe Fischer, Max "Puddy" Hinkes, and Jack Rappaport. 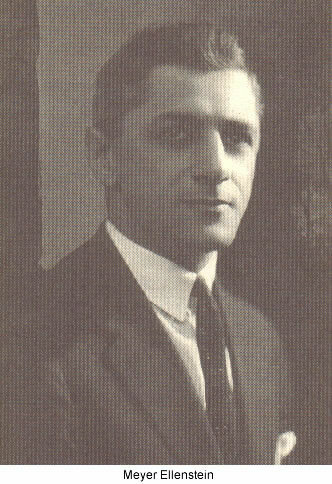 Rappaport, who boxed from 1923 to 1927, had a career of 15 fights, ten of which were fought in Newark arenas. Notable among Newark Jewish boxers who saw action in the amateur ranks were Newark's two-term Depression-era Mayor, Meyer C. Ellenstein, and Newark bagel king Sonny Amster. 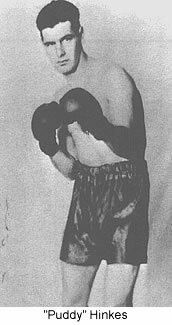 Ellenstein, living in Paterson as a youth, while working 10 hour days in silk mill, turned to amateur boxing in his free time and won every one of his amateur bouts over two years as a 115 pound flyweight to become the Metropolitan Boys Champion in his weight class. In 1907, he decided to turn professional. After he fought his first pro fight as "Kid Meyer" he quit boxing at the urging of his widowed mother who, then with five children, depended on her only son for his earnings. Sonny Amster recalled for me that he boxed as an amateur in the Golden Gloves tournament at the Newark Athletic Club in 1945, in the 147 pound weight class. He later went on to fame and fortune as owner/operator of the fabled Watson Bagel operation on Clinton Place, then 205 Chancellor Ave. in Irvington, and today, still operating in two locations -- as Sonny's Bagels in Vauxhall, and as Elmora Bagels in Elizabeth. In the mid to late 1930s, many of Newark's Jewish boxers from the old Third Ward were recruited into an organization designed to counter the pro-Nazi activities of a Newark-area group called "The Friends of New Germany." The anti-Nazi organization was called "The Minutemen" and was led by ex-boxer Nat Arno, then a 'muscle man' employed by Third Ward crime boss Longy Zwillman. Arno had been born to immigrant parents in the Third Ward as Sidney Abramowitz. He took the name 'Arno' when he became a boxer. The so-called Minutemen provided the necessary resolve and muscle to prevent or break up pro-Hitler regime meetings and propaganda efforts. The Minuteman group was organized in 1933 and lasted until the start of World War II, when all America joined in the fight against the Nazis and their supporters.